Jordan Hamilton looks for a screen. The freshman guard led NU with 21 points in the loss at Michigan. It was a different night but the same deficit for Northwestern. The Wildcats (9-17, 2-10 Big Ten) took a road trip to Ann Arbor to take on No. 21 Michigan (20-6, 9-4) less than two weeks after facing the Wolverines in Evanston. Yet, Thursday’s score doesn’t demonstrate the dramatic improvement in play by the Cats as they lost by 21, 84-63. Two weeks ago, NU also lost to Michigan by 21, that time by a score of score of 80-59. Freshman guard Jordan Hamilton said the team feels slightly frustrated that the overall score didn’t show a their improvement. Even though the overall score didn’t demonstrate the team’s improvement, the Cats showed progress elsewhere. Hamilton’s offensive play contrasted sharply with last time NU took on the Wolverines. On the Cats’ home court, Hamilton made only one of her 11 attempted shots. This time around, Hamilton led NU on the scoreboard, earning the Cats 21 points. Hamilton said her confidence had returned entering Thursday’s game. NU also started stronger this meeting. Last game against Michigan, the Cats ended the first quarter trailing by 13 points. This time, NU was only behind 3 points at the first break. Sophomore forward Abi Scheid said coming out hard was the team’s goal, and they achieved it. 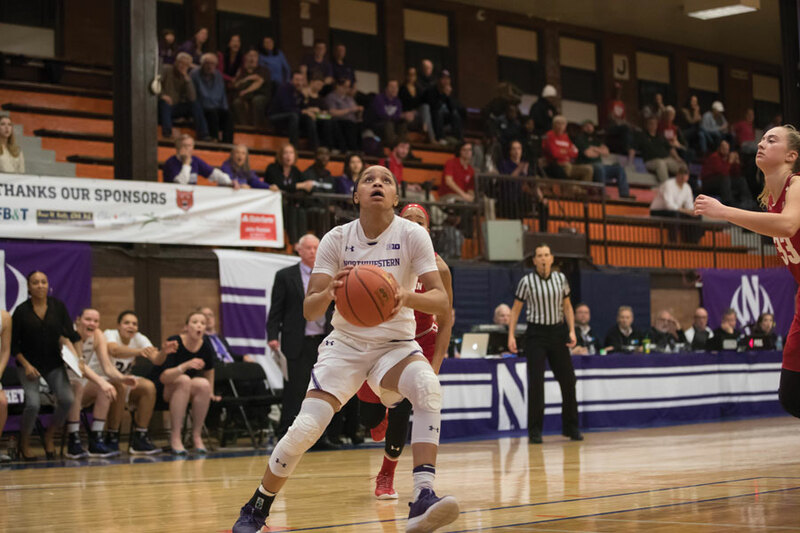 Ultimately, NU wasn’t able to maintain the momentum, as the Cats began to fall more behind in the second quarter, scoring only 7 points while Michigan poured in 22. Michigan senior guard Katelynn Flaherty dominated the Wolverines’ scoreboard, scoring a game-high 36 points. Scheid attributed NU’s loss to their inability to stop Flaherty from making shot after shot. Coach Joe McKeown said he saw significant improvement in the team’s offense and is choosing to focus on that. “They’re one of the best teams in the country, and I’m proud because I saw a lot of good things,” McKeown said.